Your boxing weather forecast for ESPN2 Friday calls for excessive violence with a chance of SportsCenter highlight knockouts. Tony Harrison (19-0, 16 KOs), fresh off a one-round smackdown of confirmed middleweight fraud Tyrone Brunson in December, takes on barking dog Antwone Smith (23-5-1, 12 KOs), last seen getting the crap kicked out of him by Jermall Charlo in August of 2013, in the main event. The co-feature brings us Ukrainian middleweight sensation in the making Ievgen Khytrov (8-0, 8 KOs), who has engaged in the ritual slaughter of some surprisingly live opponents recently, getting a shot at the very suspect chin of Jorge Melendez (28-4-1, 26 KOs) in what will be a test of Khytrov’s own durability should Melendez be able to land a clean shot. So, in this world of opponents who look like names but aren’t, who do we see? Good ol’ Antwone Smith, who screeches like Monica Seles whenever he throws a punch and who has so much ring rust on him, the iron underneath has been corroded straight through. Get in line, Antwone. IRS on your back? Got a baby mama? Spent your winnings on rims for your car? Level with us…what the hell are you doing getting back into a ring when you’re clearly being set up? No prizes for guessing how this one’s going to go. Harrison has, to his credit, at least fought guys who were once good, and Antwone Smith at this point in his career was “once mediocre”. This should be a showcase fight, the kind of fight that goes rounds only if Smith uses his awkward style to extend the inevitable and give rounds to the prospect. Giving rounds isn’t even guaranteed, by the way. You know those 10/12 fight in a row losing streak guys mentioned above? 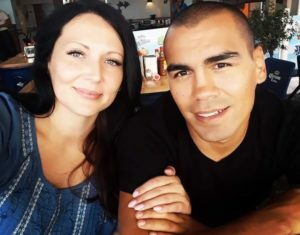 Both of them had taken those combined 22 fights the distance, and Marcos Primera lasted the full eight against the same Tyrone Brunson who usually knocks guys like that out quickly. 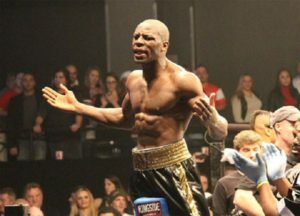 Tony Harrison stopped Ruben Galvan in one round and Marcos Primera in three. This guy hits like Marvin Hagler. 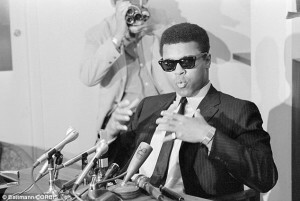 He may have nothing else in common with Marvelous, but this is not some guy who got his knockouts against glass jaws. Make sure you call the pizza guy early, you don’t want to be settling the bill when this fight starts or you might miss it. Not since the Worldwide Leader got to introduce American TV audiences to Guillermo Rigondeaux right after Rigo had defected from Cuba in 2009 (Rigo’s third pro fight was an FNF main event) has ESPN2 pulled off a coup like this. Ievgen Khytrov is something very, very special. He’s up against Jorge Melendez in a middleweight tilt. Melendez is one of those guys who hits like a car, but his chin is extremely suspect. 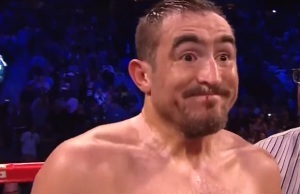 Not only was Melendez down in both of his decision losses, he has also been knocked out twice, by guys who came into the fight 13-22-4 (Clarence Taylor) and 12-15-1 (Doel Carrasquillo). See where this is going? A guy with 500 amateur fights isn’t going to have much trouble finding a guy like Melendez, but at the same time, when you’ve got a guy who’s knocked out 26 of his 28 victims as a professional, albeit club fighters and nobodies, that’s just enough to leave that seed of doubt planted in your head that things might—might—go horribly wrong for the favorite. You’re not going to want to miss it. Once again: This guy Khytrov is going to fight Golovkin one of these days, and that fight’s going to be the Fight of the Year when it happens. Mark my words. 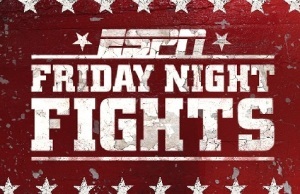 Friday Night Fights airs on ESPN2 on March 6 from the MGM Grand in Las Vegas at 9 PM Eastern, 6 PM Pacific. 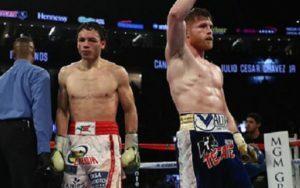 The Boxing Tribune will have a full recap of the night’s televised action, including any swing fights that make air, following the conclusion of the broadcast, and your columnist will be in the ESPN Friday Night Fights Facebook comments section providing running commentary throughout the fights. Stay tuned—we’re the worldwide leader in covering the Worldwide Leader. Fox Doucette covers Friday Night Fights for The Boxing Tribune and writes the weekly What If alternate-history series for this publication. His opinion column, The Southpaw, appears on Thursdays. Fan mail, hate mail, and some wiseguy pointing out that Ismail Sillakh had a pretty good amateur career too can be sent to beatcap@gmail.com.